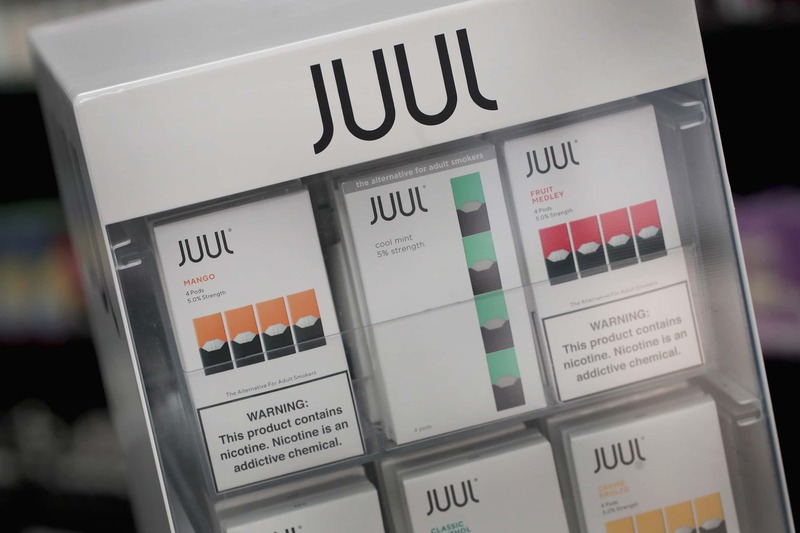 E-cigarettes like those made by the popular company Juul [Jewel] have found their way into the hands of high-schoolers. The Springfield News-Leader reports Ozark High School says the number of students involved in tobacco-related incidents has increased rapidly from the 2016-17 to the 2017-18 school year, going from ten students to 71. National data suggests that teens are ditching cigarettes for their electronic counterparts due to advertising. According to the CDC, just over 1 in 10 students across the nation reported using e-cigarettes in 2017, while the National Institute on Drug Abuse says that 7 in 10 teens are exposed to e-cigarette advertising. The News-Leader says in reaction to this latest information, Springfield Public Schools, which saw tobacco-related incidents more than double over the last year, is partnering with the local health department to communicate the risks associated with vaping nicotine use.